Q: What state papers should be considered in connecting the Constitution of the United States with the Magna Carta? A: …Plans for colonial union were proposed from time to time, the most important of them being the Albany Plan of 1754, of which Benjamin Franklin was the author. Dr. Franklin drew up and presented to Congress, on the 21st of July (1775), a plan of confederation… In some of its articles it differed essentially from the one that was finally adopted, and approached more nearly to the present constitution… Taken in all its parts, this plan was little else than a virtual declaration of independence. Have Benjamin Franklin's philosophical contributions to the early development of our government been overlooked? He was, of course, a member of the committee that worked on the Declaration of Independence, but did you know he had already penned his own "virtual declaration of independence" one year earlier? Franklin is widely known as the "Sage of the Constitutional Convention," but few know he had written a precursor to the Constitution in 1754, more than 30 years earlier! Thomas Jefferson is credited as the author the Declaration of Independence, a grand achievement. But, though Jefferson alone composed the draft of the Declaration, even he admitted in 1823, "… Before I reported it to the committee I communicated it separately to Dr. Franklin and Mr. Adams requesting their corrections." Both Jefferson and Franklin were critical in injecting into the debates of the Founding Fathers vital philosophical and political ideas. Jefferson's contributions are more widely recognized. Has Franklin, the only one of the two who signed both the Declaration of Independence and the Constitution, been unfairly disregarded as a significant philosopher of the American Revolution? Help your students deepen their understanding of the documents crucial to the birth of our democracy as they scrutinize the contributions of two towering figures of the American Revolutionary period and beyond. Note: For an introduction to the achievements of Franklin and Jefferson, and a set of activities that can serve as a prequel to this lesson, see the complementary EDSITEment lesson plan Jefferson vs. Franklin: Renaissance Men. What ideas did Franklin contribute to the philosophical debate of the leaders of the movement for American independence? What ideas did Jefferson articulate? State connections among Franklin’s Albany Plan of 1754 and Plan of Confederation of 1775 and the U.S. Constitution and/or the Declaration of Independence. State connections among Jefferson’s Summary View of the Rights of British America and Draft of the Virginia Constitution and/or the U.S. Constitution and the Declaration of Independence. State connections between George Mason’s Virginia Declaration of Rights and Jefferson’s Declaration of Independence. Download Benjamin Franklin's Albany Plan of Union 1754 Compared to Two Keystone Documents, available here as a PDF. Print out and make an appropriate number of copies of any handouts you plan to use in class. The First Amendment: What's Fair in a Free Country. Students will notice that there are scant references to legalities (or "constitutional" elements) in the Declaration. Rather it is a statement of American ideals or principles. The Charters of Freedom, available via a link from the EDSITEment-reviewed website Digital Classroom. If your class is already familiar with basic biographical information on Franklin and Jefferson, skip Suggested Activities. For more detailed biographical information, refer to the sources listed under Selected EDSITEment Websites. If desired, share with the class some basic biographical details about Thomas Jefferson, available via a link from the EDSITEment resource The American President, and Benjamin Franklin, available via a link from the EDSITEment-reviewed website Digital Classroom. Tell the class it could be argued that Franklin has been given short shrift and that Jefferson has been given too much credit for the philosophical and political ideas of the Founding Fathers as expressed in the Declaration of Independence and the U.S. Constitution, including the Bill of Rights. Students will compare five earlier documents to these keystone documents of our democracy in an attempt to arrive at a conclusion to these questions—Should Franklin be given more credit as a political philosopher? Has Jefferson been given too much credit? In preparation for this activity, students can view a similar comparison of documents online through the EDSITEment resource Avalon Project at the Yale Law School, which offers a split-screen interactive exercise to Compare Franklin's 1775 Articles of Confederation to the 1777 Articles of Confederation. Franklin's Albany Plan (1754)—Franklin's Albany Plan will be most fruitfully compared with the U.S. Constitution, though there is also some basis of comparison with the Declaration of Independence. Though Franklin's solutions are often somewhat different than what we find in the Constitution, this comparison reveals that Franklin was already grappling with the same problems as the representatives to the Constitutional Convention 30 years later. As war with France loomed in 1754, Franklin represented Pennsylvania at the intercolonial congress that met at Albany. While in Albany, Franklin advocated a plan that called for a colonial union. Franklin's Albany Plan foreshadowed the union that would later be formed by the U.S. Constitution. However, his plan was too far in advance of public thinking, and it was not ratified. Jefferson's Summary View of the Rights of British America (July 1774)—The Summary View of the Rights of British America is the longest and most difficult of these documents. It can be most fruitfully compared with the list of complaints in the Declaration of Independence; the Summary View of the Rights of British Americaprovides detail and background history for a number of the complaints. "A Summary View of the Rights of British America," written in 1774, articulated the colonial position for independence and foreshadowed many of the ideas in the Declaration for which he is most famous. Franklin's Articles of Confederation (July 21, 1775)—In Franklin's Articles of Confederation, students will find many passages with ideas later adopted into the U.S. Constitution. Article XIII anticipates parts of the Declaration of Independence, though the language is quite different. As Franklin's Articles do not include a chief executive (due to the fear of any individual—in the manner of a king—having too much power), they often differ with the U.S. Constitution, but as with his Albany Plan, Franklin was looking for solutions to the same problems later dealt with by the members of the Constitutional Convention. Dr. Franklin drew up and presented to Congress, on the 21st of July, a plan of confederation. It was not acted upon at that time, but it served as a basis for a more extended plan, when Congress were better prepared to consider the subject. In some of its articles it differed essentially from the one that was finally adopted, and approached more nearly to the present constitution. Taxes for national purposes were to be levied, and members of Congress were to be chosen, in proportion to the number of male inhabitants between the ages of sixteen and sixty; and each member was to have one vote in Congress. Taken in all its parts, this plan was little else than a virtual declaration of independence. It was to be perpetual, unless the British government should agree to such terms of reconciliation, as had been claimed by the colonies. George Mason's Virginia Declaration of Rights (adopted June 12, 1776)—Though the Virginia Declaration of Rights is often cited as one source for the Declaration of Independence, it also has a number of elements found in the U.S. Constitution and, especially, the Bill of Rights (the first ten amendments to the Constitution). It is one of the documents heavily relied on by Thomas Jefferson in drafting the Declaration of Independence. The Virginia Declaration of Rights can be seen as the fountain from which flowed the principles embodied in the Declaration of Independence, the Virginia Constitution, and the Bill of Rights. 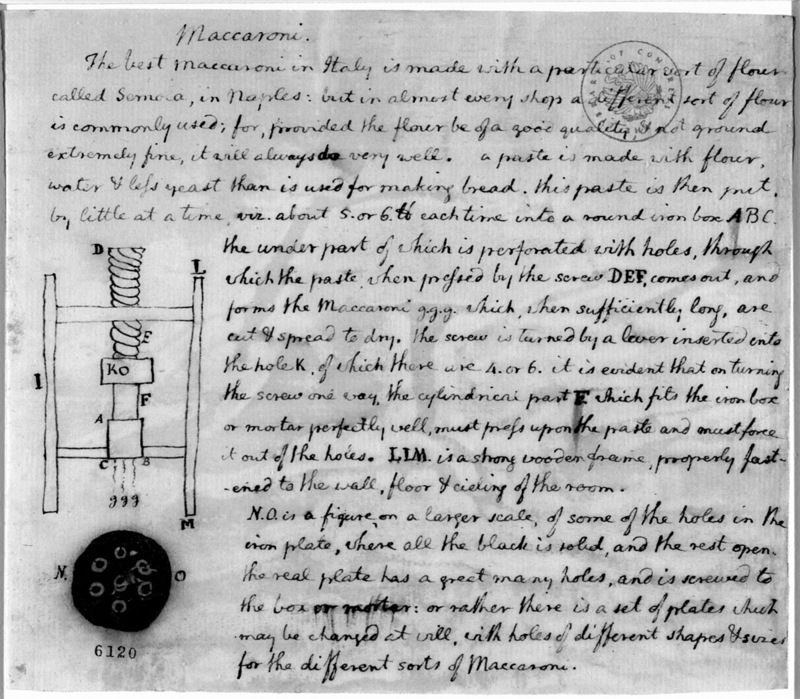 The document exhibited here is Mason's first draft to which Thomas Ludwell Lee added several clauses. Even a cursory examination of Mason's and Jefferson's declarations reveal the commonality of language and principle. Jefferson's Draft Constitution for Virginia (June 1776)—This is probably the easiest of all the documents for comparison. Many passages bear a striking resemblance to the Declaration. Jefferson's Draft Constitution begins with a Declaration-like list of complaints, but the remainder of the document is a constitution; therefore, many passages address issues also dealt with in the U.S. Constitution. As an aid to the teacher, copies of each of the documents listed above—with passages that compare to at least one of the key documents highlighted—are available on pages 1–23 of the PDF, Benjamin Franklin's Albany Plan of Union 1754 Compared to Two Keystone Documents. In some cases, comparable passages from the key documents have been inserted; you may want your students to try this, as well. Many examples are provided in these samples, but the selections are not comprehensive. Use these aids to provide examples for your class, or adapt them to your needs. Each group is responsible for scrutinizing its document for text, ideas, and structures (the presence of a preamble, for example) that can also be found in one of the keystone documents. In many cases, words and phrases will be duplicated in companion documents. Texts of the Declaration of Independence, the U.S. Constitution, and the Bill of Rights are available on the EDSITEment resource Avalon Project at the Yale Law School and in most history textbooks. It is best if each group has access to hard copies of the documents. If desired, groups can use the "Five Group Comparison Chart" on page 24 of the PDF file, Benjamin Franklin's Albany Plan of Union 1754 Compared to Two Keystone Documents, to help them chart the similarities they uncover. Groups do not need to understand every element of any particular document to locate comparisons, but they should be prepared to present and explain the similarities they do find to the class. Remember that some documents will bear more of a comparison to the Constitution and/or Bill of Rights, others to the Declaration, and some to more than one document. Students can create a display commemorating the achievements of Jefferson and Franklin, using quotes from each as captions. Notable quotes of Jefferson are available at the University of Virginia Scholar's Lab, a link from the EDSITEment resource Center for the Liberal Arts. Access Quotes from Benjamin Franklin on The Electric Franklin, another link from Internet Public Library. Students can study more closely the drafting of the Declaration of Independence, paying special attention to the contributions of each member of the committee. Refer them to the sources listed in the Preparing to Teach this Lesson section, above. Students wanting to learn more about George Mason can start with the Biography of Mason, accessible via a link from the EDSITEment-reviewed website Digital Classroom. Franklin took special care to include fair treatment of Native Americans in his Articles of Confederation, available on the EDSITEment resource Avalon Project at the Yale Law School. Interested students should read Article XI. Note how the final version of the Articles deals with Native Americans.